San Bruno Avenue in San Francisco has a rich history and those that affectionately called themselves residents of the Portola District remember that very much. Those of us that have lived for many years in the Portola District know what it was to live in the good old days. Today, we take many things in stride, the corruption at City Hall, the Crime on our streets, and the undue influence of folks like Family Connections where once stood the Portola Hardware Store making decisions on behalf of the constituents that live in the Portola District. 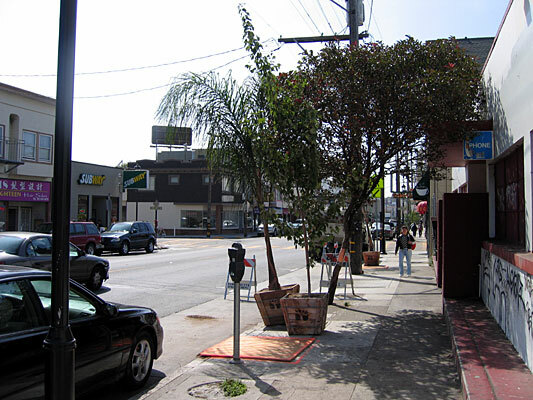 This article is about trees that were in plenty on San Bruno but some fools chose to take matters into their hands and remove trees that were healthy and plant as we now see them - mostly dead ones. I have always said it is fine to plant trees but to maintain them that is what really matters. Previously, I watered many trees for many years - only to find them uprooted by the Department of Public Works. There was a hearing with a woman from the Department of Public Works (DPW) sitting as a judge at City Hall in Room 416. I have never seen a circus such as I witnessed adjudicated before this woman judge. A number of cases were brought before her and she had a woman from the Friends of the Trees a non-profit organization laying down some biased facts and lo and behold - the circus judge adjudicated the cases. The cases were about trees - some were ordered removed, others were told to plant certain replacement trees, and others had to pay a fine that went into the kitty of the Friends of the Trees so that they could plant trees in the future. The woman judge was there in the place of the Director of DPW Dr. Abadi and if this is the way business in going to be conducted in the future - our City is going to the dogs at least when it come to our trees. There was the case linked to one of kind trees that some greedy developer wanted to cut down near Lake Merced. One of a kind trees and the woman from the Friends of the Trees valued the trees using some method that defied logic. Our City brags it is a Green City and at a Green Conference held here in the City - an expert made it known to those that could hear clearly - that any mature tree could be valued at approximately $162,000. A mature tree say 15 years old, healthy, and doing us humans a great service by helping negate pollution and also keeping the general state of the environment around its canopy healthy could be valued at $162,000. Now, here we had one of a kind trees - special trees and the dumb woman from the Friends of the Trees never thought of valuing any of the trees above $30,000. I found this blatantly disgusting considering that this woman had no idea what so ever how to evaluate trees and yet was appearing with files and setting down the path for false adjudication ­ time and time again. I spoke about the trees near Lake Merced having knowledge of these special trees, each one of them marvelous, and of course the woman judge did not like what I had to say. I suppose the developer was ticked off too. I am glad some one is taking the crooks to court and I hope that the judge in a higher court makes a good decision and prevents the developer from cutting those special trees. Installing the project so that the developer learns a lesson or two. For over 3 hours all sorts of silly cases were brought before the woman judge - this circus of sorts is played out without any fairness to the various folks that for one reason or another are either encumbered by some tree or seek some remedy. In appearance after appearance the judge made a fool of her and triggered anger with those appealing before her. The adjudication process is illogical - the woman from the Friends of the Trees is fixated on some issue with trees. If the tree has some great wound then down it comes. It also depends where the wound is - if lower to the ground for sure it comes down. If the wound is higher up towards the sky - the tree stands tall and cannot be brought down. As the proceeding went on and on and on ­ the judge spoke about San Bruno Avenue and made a statement that she had visited all the sites and checked the general areas and the trees that were being discussed before her for adjudication. She went on to say that she had NOT gone to San Bruno Avenue. I waited and waited through all the boring procedures and then finally the case about San Bruno Avenue and the trees was before the judge. A woman from the DPW came to the podium and lied about the many community meetings held about the façade improvements on San Bruno Avenue and the new trees being planted on San Bruno Avenue. Two species were mentioned the Queen Palm trees and Maple trees. 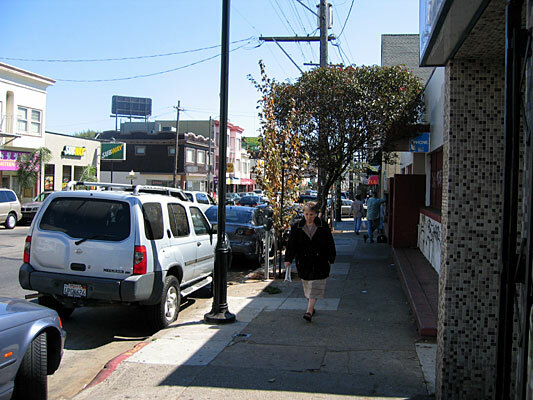 Here is where I come in - the trees were to replace trees that were already standing and growing on San Bruno. As I had watered these trees, I had a stake in them, but the lying woman did not feel my pain and would go ahead and remove all the trees sans three the very next day. She was backed by the woman from the Friends of the Trees who have thousands of dollars to waste and spend. Friends of the Trees started out well as an organization helping trees lovers but now is a corrupt organization. I see no connection why some one from a non-profit organization would work with the DPW. DPW should hire a good arborist to help with the adjudication and be fair to the constituents of San Francisco. I know them from the Presidio of San Francisco and was instrumental in giving them space. I also remember the time one of their employees was responsible and set a couple of historic garages on fire. She left a smoldering rag by mistake to ignite over night and cause the damage. She did not do it on purpose but Friends of the Trees was responsible for the damage and did not pay for the damage amounting to thousands of dollars. 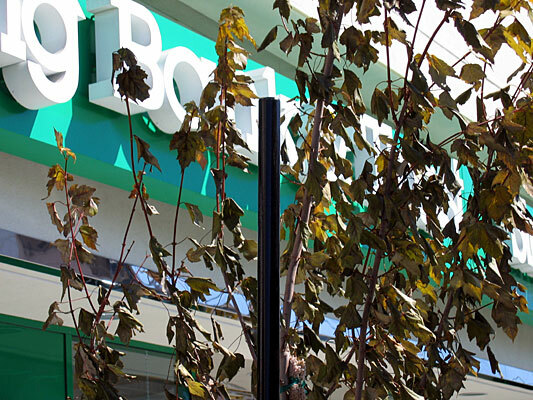 So it was my time to talk about the trees from San Bruno Avenue. I stated to the judge that earlier the judge that stated that she has gone to all the places but failed to go to San Bruno Avenue. I asked that this matter linked to the trees on San Bruno be brought before again so that the Public could comment. My pleas fell on deaf ears. 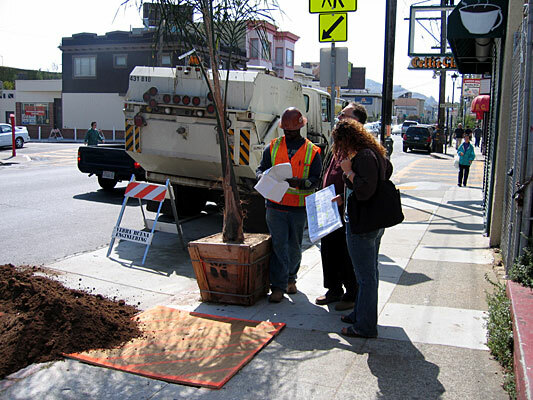 I stated that there were trees on San Bruno Avenue that were healthy but some one decided without consulting the merchants and the constituents that matter - which DPW would plant palm trees and maple trees and remove healthy trees. Why are we wasting the money? I had but 3 minutes to make my case and spoke for a minute or two extra the judge did not like it but I continued to admonish the City for wasting money and not having a meaningful dialog with those that would be affected. This was an exercise in futility. One could see from the smirk on their faces that they all had made up their minds. The next day I met the DPW woman who appeared before the judge and lied right on San Bruno Avenue. She continued to do her dirty deed. I also met a DPW employee and have them on one of the photographs. I bet you these crooks do not live in the City. They come here to earn their living and will do anything it takes to please some crooks - in this case taking the lead Family Connections an organization that is dubious in nature and does not have the respect of good people on San Bruno Avenue. We now have dead trees planted where once stood health trees. What does one make of this nonsense? DPW employees confer with worker. New Queen Palm, Maple and the old big live tree.